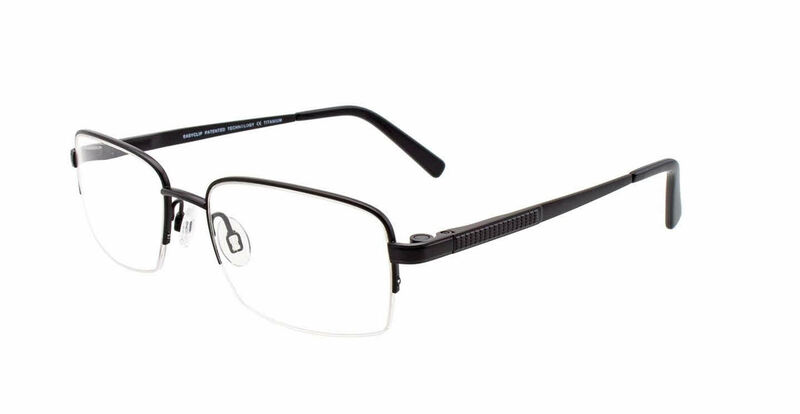 Easyclip SF120-With Clip on Lens is a Semi-Rimless frame for Men, which is made of Titanium. Easyclip SF120-With Clip on Lens Eyeglasses come with a cleaning cloth and protective carrying case. I bought this frame 2 months ago and they are the most comfortable eyeglasses I have ever owned. One drawback is that the clip on sunglasses tend to bounce a little when I am walking but they are fantastic for driving especially when the weather changes suddenly. Excellent eyeglasses and clip on sunglasses. The titanium construction makes for very light weight frames.